Build Enough Bookshelves: Gatsby: "You're Worth the Whole Damn Bunch Put Together"
Gatsby: "You're Worth the Whole Damn Bunch Put Together"
Baz Luhrmann is nothing if not polarizing. People either love or hate his movies; there aren't many who are neutral on Strictly Ballroom, or Moulin Rouge, or Romeo + Juliet. I'll admit that I'm squarely in the "love him!" camp (though I haven't seen Australia) and The Great Gatsby did nothing to change that opinion. Many of the complaints I've read or heard about The Great Gatsby have revolved around Luhrmann's trademark over-the-top spectacle, the overwhelmingly aggressive visuals epitomized during Gatsby's lavish parties, complete with fireworks, confetti, dancers, and copious amounts of alcohol. 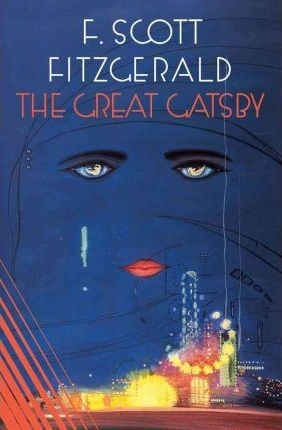 I'm sure there is some subject matter that would not do well with that approach, but Baz Luhrmann's treatment was perfect for the decadence, opulence, and hedonism of the idle rich that Fitzgerald criticized in his novel. This was the Roaring Twenties, after all. It was all about the flashy profusion of excess! Other complaints center on the music in the soundtrack. No, Jay-Z isn't what you'd call a period artist, but here again is where Baz Luhrmann's directorial genius shines through. Where every other design detail is painstakingly contemporary and accurate to the period - all those gorgeous costumes! - he uses the music as the bridge for the audience to really get the feeling of the age. Jazz music was the rebellious, exciting, emotionally powerful, subversive music of the day. It was the soundtrack for speakeasies and illegal gambling establishments; it was the cutting edge of pop culture. So a fusion of hip-hop, electronica, and R&B, with frequent nods to jazz roots, is the perfect compliment for today's ears. Jay-Z, Fergie, and Jack White's contributions to the movie's soundtrack encapsulated the frenetic energy that Fitzgerald describes in the novel. The ballads from Beyonce, Lana Del Ray and Florence & the Machine hit just the right hopeful, but despairing emotional chords. The arrangements and instrumentalization pulled in the brass sounds and jazz rhythms from period music enough to give it a Twenties flavor while maintaining the familiar connection for modern audiences. It was masterful. For me, however, the acting was the most impressively executed aspect. Leonardo DiCaprio was absolutely magnificent as the outwardly confident, inwardly insecure Gatsby. "You look so cool," Daisy says to him, "You always look so cool." And so far in the film, he has. He projects a self-possessed composure that only slips when, just a scene or two later, he is taunted by her husband, Tom, into an explosion of rage. He's a host of contradictions and layers, surrounded by hundreds, even thousands of people at his parties, but lonely and desperate for one true friend. Having rewritten his own past, he insists that Daisy rewrite hers to deny she ever loved Tom. His focused determination to win Daisy is the impetus for his wild success, but his obsession with her - and with protecting her from herself - costs him his life. Joel Edgerton is deliciously vile as Tom - having a brazen affair under his wife's nose, but outraged at the thought she may have feelings for another man, moralizing about the "rise of the colored empire" and the supremacy of the Nordic peoples as he straightens the tie of his black manservant. The ethereal Carey Mulligan embodies Daisy's vulnerability and regrets, but also nails her instincts for self-preservation. I wish we'd seen more of Jason Clarke and Isla Fisher as George and Myrtle Wilson, but as the movie was already two and a half hours long, I can accept that something had to give. Fitzgerald's novel is a tragedy. It's a classic "how-not-to" story that utilizes unadmirable characters who make selfish, horrible decisions. A cautionary tale about the tenuous nature of a house of cards built on lies and the perils of pinning your hopes on something or someone who is not worthy of them. A warning that all the money and gaudy opulence in the world can't or won't fill the emptiness of living without love. Baz Luhrmann's film, with its fantastic spectacle, pitch-perfect musical score, and phenomenal acting captured that essence perfectly. "I Do Not Think It Means What You Think It Means"